Through his rich career, architect, mag. Franz Gschwantner has gained experience that enables him to successfully carry out diverse projects of various purposes and dimensions. He realized many projects ranging from individual houses, villas and housing projects, through design of public buildings such as schools, kindergartens, museums, post offices and banks, to offices and office buildings, restaurants, retail projects, markets, hotels, recreational facilities … Before establishing his own studio in 2006, he worked as an independent architect in Vienna offices and at the University of Salzburg, where he collaborated with numerous Austrian architects. 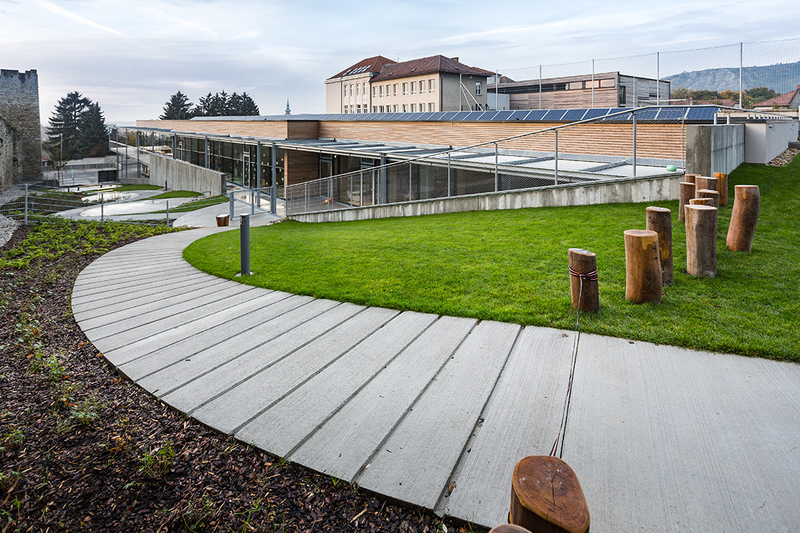 The Kindercampus Hainburg is nestled between the remains of a historic city wall and an existing school building. Both, a wooden body connected to the earth and a floating wooden body, which are separated by a two-storey glass ribbon, don‘t reveal a content and purpose of a building at first glance. The interplay of the standing and lying timber cladding is exciting, but the façade has no windows and openings. Moving in the direction of the historic city wall, a green landscape opens up, gently climbs upwards and leads over a winding wooden footbridge onto a green roof. The roof landscape is the surprising second glance that gives this building its magic. Another surprise happens walking through the corridors along the classes, where suddenly small green courtyards appear. 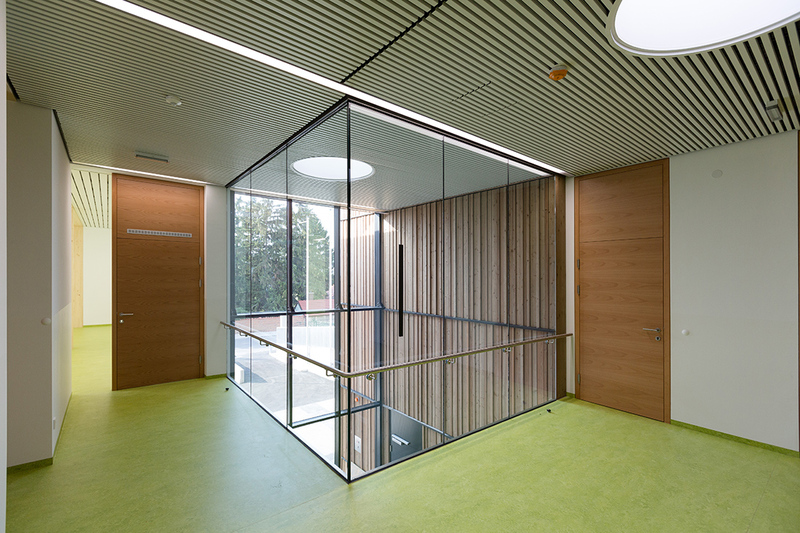 Natural light flushes deep inside the building creating exciting shadow plays, which characterize this project most.